Even if you may not know her face, chances are you would recognize the voice of Nancy Cartwright. The acclaimed voiceover artist has been playing cartoon characters for decades in many different animated movies and TV shows. For Disney Channel fans, one of Cartwright’s best roles is that of Rufus the Naked Mole-Rat on the animated series Kim Possible, which ran from 2002 to 2007. 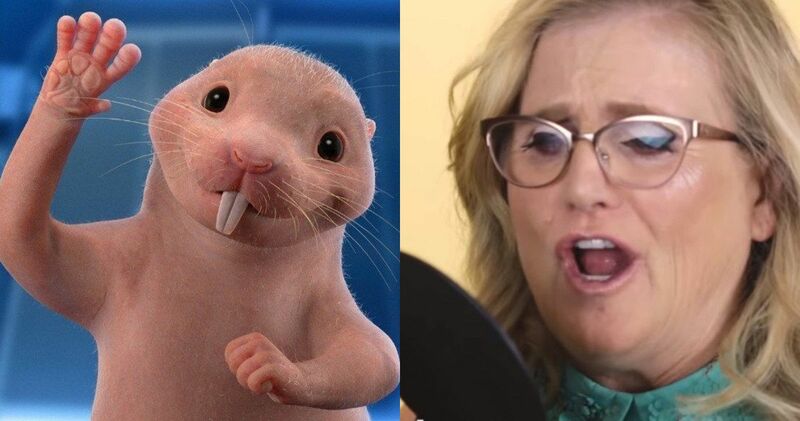 Over a decade past the conclusion of the cartoon show, however, Cartwright will be lending her voice to Rufus once again, voicing the character in Disney’s new live-action Kim Possible movie. Of course, it’s not difficult for Nancy Cartwright to reprise the role, as the character is still animated with CGI in the new movie. Additionally, she won’t be the only cast member from the original series to be involved. Patton Oswalt, who voiced supervillain Professor Dementor on the animated series, is going to have a role in the upcoming movie. Original Kim Possible voice actress Christy Carlson Romano will also have a role. The titular role in the new movie will be portrayed by Sadie Stanley, with Sean Giambrone playing Ron Stoppable. Also confirmed to appear in the movie are Alyson Hannigan as Dr. Ann Possible, Connie Ray as Nana, Todd Stashwick as Drakken, Taylor Ortega as Shego, Ciara Wilson as Athena, Erika Tham as Bonnie, and Issac Ryan Brown as Wade. Based on the Disney Channel cartoon series, the Kim Possible movie is written by Josh Cagan, Bob Schooley, and Mark McCorkle. It follows high schoolers Kim Possible and friend Ron Stoppable balancing their lives between surviving high school and evil supervillains in their devious plots to take over the world. For viewers who have fond memories of watching the series when it originally aired, revisiting the story with the live-action movie should make for a fun experience. Additionally, a new generation of fans of the Disney Channel might be meeting Kim Possible for the first time with this new movie, giving the character many new fans nearly twelve years past the original show’s final episode. While Rufus is a memorable role for Cartwright, the actress will always be best known for playing Bart Simpson. For over three decades, Cartwright has provided the voice of the world’s most mischievous cartoon child. Now in its thirtieth season with no planned end for the series anywhere in sight, The Simpsons is still going strong on the Fox network. There are rumors Fox is even looking to make another movie based on the long-running series, although nothing is yet set in stone. In any case, Bart Simpson will always be one of pop culture’s most beloved cartoon characters, thanks in large part to his portrayal by Cartwright. The live-action Kim Possible movie will be premiering on Disney Channel and DisneyNOW on Friday, Feb. 15, at 8 p.m. EST. If enough people tune in, it’s possible Disney will follow it up with another movie. It’s going to be interesting to see how the story plays out with live-action performers. We’ll see if the movie turns out to be the hit for the network the original series was so many years ago. This information comes to us from Deadline.